One of the key tenets of our company is our business first approach. As marketers, customer-centric strategy combined with a strong sense of design is a must. However, it doesn’t stop with looking pretty. 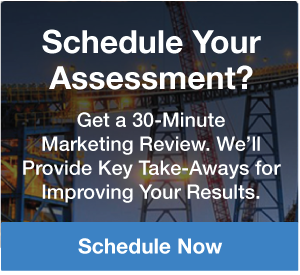 The primary objective of any successful marketing partner is producing measurable results for your business. No matter the client, industry or situation, we always start with the business – What are your goals? Where are you trying to go? What are your biggest obstacles? How fast do you want to get there? Who is your competition? What are you able to spend? These questions and more are critical to building an integrated strategy to produce results that can be measured and achieved. We’ve not only marketers, but we’re also business people who have held senior positions and successfully managed and helped run major corporations generating hundreds of millions in annual revenue. We get it because we’ve been in your shoes. For most businesses, nothing happens until someone sells something. Online marketing is playing an increasingly important role in a chaotic world where traditional marketing no longer produces the results it once did. Businesses that call in Shanahan Strategy are typically small- to medium-sized industrial or manufacturing companies who need to increase sales, are overwhelmed with the non-stop upheaval in the digital marketing landscape, and are frustrated with nominal returns on their marketing spend. Traditional marketing doesn’t produce results like it once did. As your partner, we’re obsessed with knowing what digital strategies work and how they can be leveraged to achieve your goals.